Garth Maxwell got his first taste of commercial filmmaking on 1984 feature Other Halves — hanging out at Auckland Airport waiting for footage to arrive from a lab in Sydney, then desperately rushing to assemble it each day for the waiting film crew. A glut of film production in the mid 80s gave Maxwell lots of chance to “saturate” himself in filmmaking, including helping out in the editing suite for Peter Wells and Stewart Main. In 1988 Maxwell and co-writer Graham Adams won $13,000, after Beyond Gravity took out the best screenplay prize at a festival in France. They followed it with short film Red Delicious, a comical re-imagining of the Adam and Eve story. Maxwell made his feature debut in 1993 with revenge drama Jack Be Nimble, which won the award for best screenplay at Portugal’s Fantasporto film festival. Sarah Smuts-Kennedy and American Alexis Arquette starred as traumatised twins, who reunite to find their parents, years after being separated at birth. In a four-star review, British horror critic Kim Newman described this outsider tale as John Irving meets Stephen King, praising Maxwell for making it ”at once affecting, funny and horrifying”. 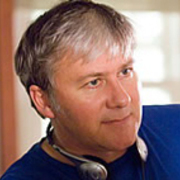 Maxwell went on to be one of the more prolific Kiwi directors for series Xena and Hercules, before directing and co-writing another feature, When Love Comes (1998). Again the film may have suffered commercially for refusing to slot into simple marketing categories. It explores the relationship romantic dramas and musical ambitions of an ensemble cast. Rena Owen played the key role of a singing star returning home, alongside early feature appearances by Dean O’Gorman, Nancy Brunning and Sophia Hawthorne. When Love Comes won little attention at home, but gained positive notices for cast and director upon American release. The Hollywood Reporter mentioned the “colourful performances ... energetic direction” and vibrant imagery, while the Los Angeles Times praised Owen and Simon Prast for possessing “a wit and depth that lend gravity to a film intent on capturing the skittishness and tentativeness that so often accompany matters of the heart”. Since then Maxwell has directed on television on both sides of the Tasman. In 2007 he created TV series Rude Awakenings, and directed many episodes. Starring Danielle Cormack as a woman battling to become more upwardly mobile, the drama-comedy revolved around two warring families with contrasting income levels, one newly arrived in the other’s Ponsonby street.